What's given flipping a bad name more than anything else over the past few years are unscrupulous buyers who have manipulated mortgages, appraisals, and rebuyers. Rather than do the real work of the transaction, namely finding properties that are selling below market, they have purchased properties at actual market and then, through manipulation, sold them for above market to unwary buyers. This sometimes has been done in apparent collusion with lenders who secured higher appraisals than were warranted and made bigger loans than were justified. Sometimes these properties were sold to poor minority rebuyers who really didn't understand about market value or how high their payments would be. 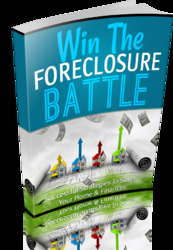 Subsequently, when these rebuyers couldn't make stiff payments, the houses were lost to foreclosure. That's where the real trouble started. Almost all home mortgages are one way or another insured or guaranteed through the government or a government-related agency (FHA, VA, Fannie Mae, Freddie Mac, and so forth). When the government began taking these properties back, it found out what was happening and launched criminal investigations into the flippers. This is not something you ever want to have happen to you.